I have uploaded a new video! If you are still looking for a way to make your own Washi Tape for your Art Journal, then look no further. I have uploaded a new DIY video showing you how I make and store my homemade washi tapes. It is official, I have a second channel on YouTube. I have decided to split up my video content into two channels. www.youtube.com/sweetpaganrose - Will have all my vlogs, makeup, art journal, animal, and misc videos. www.youtube.com/thecrochetzombie - Is my new channel and will contain all my crochet and yarn related videos. I will also be posting more here on my blog in regards to more crochet patterns, art journal photos and anything else I think you will all enjoy. So keep a look out for new content here on my blog and on YouTube and be sure to go over and subscribe to both of my channels so you never miss a thing. I will also be taking photos of all my current crochet inventory and will be posting the photos and prices on my Facebook store page which will be public within the next few weeks. So if you are looking for that perfect gift for a friend or family member for the holiday's coming up be sure to stay tuned for the shop opening post. Hope you are all having a good night, talk to you all soon. Latest Video Tutorial is now Live!! New Cast Off Friday is Up NOW!! Check out my new video! Whimsical Workspaces Workshop Day 1 Homework!! New Cast off Friday and Workshop Adventure!! About to start my workshop with Klair Rhomany Scattergood!! Am a day behind..but will be caught up tonight!! Check out her workshop and have some fun with us and get organized!! I am Back on YouTube!! That's right there is a new video up tonight!! 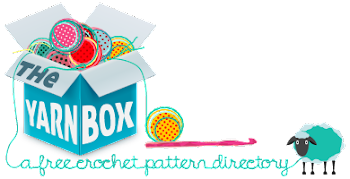 Here you will find information on me, my crochet work, my original designs, my photography, and how to find me on this world wide web.